May you be remember, for the stories you told and didn’t tell. 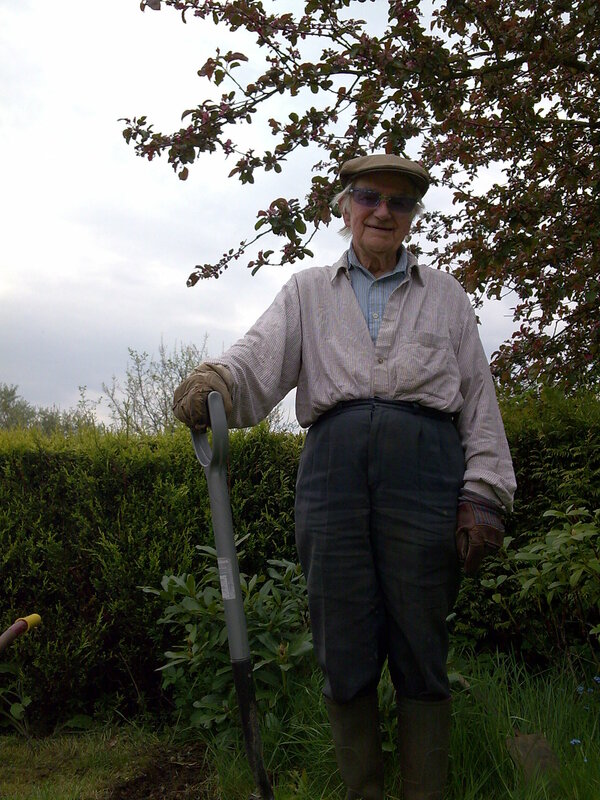 He signed up to the Territorial Army branch at the opening of WW2 and served in the South Lancs Regiment as a gunnery. He told me how he served in North Africa, but what I found out at his funeral a few years ago he was at Normandy Landing he got off the boat with his best friend, ran up turned around to his friend only too see him get a bullet through his head. I found that very shocking when I heard the story. Another story that stood out, before the war broke out he was in training and went out one evening to the pub with some friends, where they got rather drunk and on the way back one of his friends spotted a snake on the side of the road not knowing it was an adder and threw it at Bob, he got bitten that day by the snake, his arm started to swell up and he got back to the base. Reported in to the medic; He was treated and the report said because of the amount of alcohol in his system it saved his life. It also stated at the time that he was the only solider to ever have a snake bite in Britain in the army. Robert was a great man, always had a smile, never had a bad word to say about anyone and I shall remember him always.